Posted on January 30, 2017 by Christene Carr and tagged porous hair 4c Natural Hair porosity test. Posted on January 16, 2017 by Christene Carr. Posted on November 21, 2016 by Christene Carr and filed under How-to, Natural hair, Hair Care and tagged up-do top knot. Posted on April 30, 2016 by Christene Carr. If you follow me on Snapchat (ChristeneCarr) you will know that I often say twist outs are the devil. They are time consuming and results may vary not just depending on products used but on order of application, temperature, drying method, and quite possibly the State of the Union. The last two twist outs were a success so naturally I have to share the results and the products used. Everything up to this point took about 30 minutes. This next part feels like it took 34556 hours! After rinsing the condition from my hair I towel dried and applied Beautiful Textures Tangle Taming Leave-in Conditioner and finger combed it all through my hair. I then applied Cantu Coconut Curling Cream ($7.99) to a small section of my hair, parted it with my fingers from front to back, combed it through then worked the Naturals Gina B Kiss My Ash Body Balm ($16) (Yes, a body balm) through the ends then did a two strand flat twist and a bantu knot at the nape of my neck. I repeated this process until I did my whole head (approximately 1 hour). 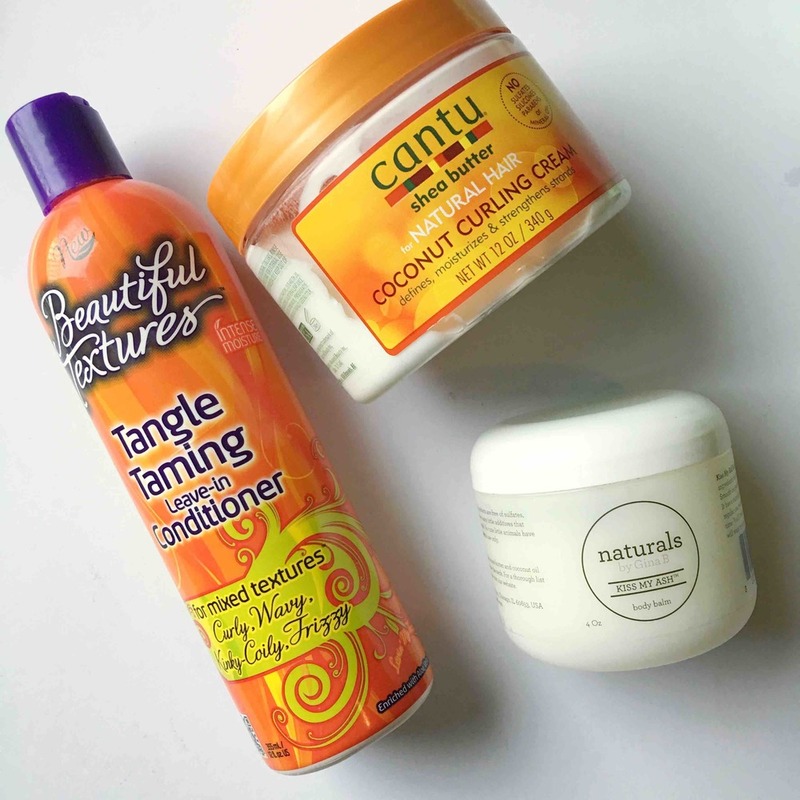 I had to spritz with water a few times to work in the products -- this is an important step (it can be the difference between smooth defined twists and crunchy fuzzy twists. Don't ask me how I know.) I let it air dry overnight -- or in this case for several days because when I attempted to take down the twist, they were damp. I cursed all the Gods, re-twisted it and reached for my turban. On day 5 I re-twisted by spritzing with water and applying a little more Naturals Gina B Kiss My Ash Body Balm to the ends. I have to celebrate my twistout wins because fuzzy, limp, undefined twist outs are like unsolicited DMs from creepy dudes -- never far away. Here's to hoping all your twist outs from here to eternity come out exactly as you want them. Posted on March 10, 2016 by Christene Carr and filed under How-to and tagged Styling twist out.